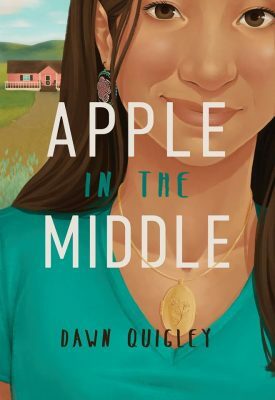 APPLE IN THE MIDDLE by Dawn Quigley (Turtle Mountain Chippewa)(North Dakota University Press, 2018) Fifteen-year-old Apple Starkington struggles to find how she belongs at school and at home. It isn’t until Apple spends the summer with her grandparents on the Turtle Mountain Reservation that she starts to connect to her family and her culture. By doing so, she finds acceptance and healing. Recommendation by Stephani Eaton. DREAMING IN INDIAN: CONTEMPORARY NATIVE AMERICAN VOICES edited by Lisa Charleyboy (Tsilhqot’in) and Mary Beth Leatherdale (Annick Press, 2014). Divided into four sections, ‘Roots,’ ‘Battles,’ ‘Medicines,’ and ‘Dreamcatchers,’ this book offers readers a unique insight into a community often misunderstood and misrepresented by the mainstream media. Whether addressing the effects of residential schools, calling out bullies through personal manifestos, or simply citing hopes for the future, DREAMING IN INDIAN refuses to shy away from difficult topics. An innovative and captivating design enhances each contribution and makes for a truly unique reading experience. Ages 12-up. More on this title from Cynsations. Compiled from promotional materials. 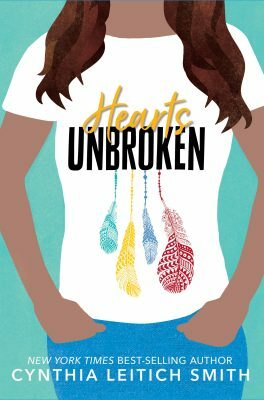 HEARTS UNBROKEN by Cynthia Leitich Smith (Muscogee (Creek))(Candlewick, 2018). The story of two teen journalists, covering the controversy around the diverse casting of their high school musical. It’s also a romance between those two teens, a Native girl and Arab-American boy, trying to figure out themselves, each other and a world that often doesn’t make sense. Ages 14-up. 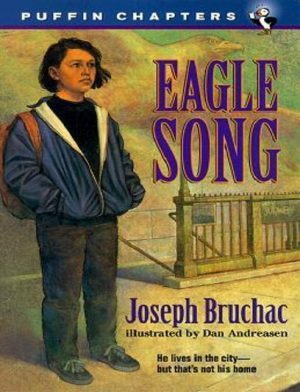 EAGLE SONG by Joseph Bruchac (Abenaki) with pictures by Dan Andreasen (Dial, 1997). Danny Bigtree encounters racism when he moves from the Mohawk reservation to the city. However, Danny is inspired by the Iroquois hero Aionwahta and by his own father to choose peace. Ages 8-up. THE HEART OF A CHIEF by Joseph Bruchac (Abenaki) (Dial, 1998). Chris is an eleven-year-old Penacook (Abenaki) boy, living on a fictional reservation in New Hampshire. He is facing a new school, a possible new casino on a tribal island as well as his father’s alcoholism and the issue of Indian sports mascots. Ages 8-up. RAIN IS NOT MY INDIAN NAME by Cynthia Leitich Smith (Muscogee (Creek))(HarperCollins, 2001). Cassidy Rain Berghoff didn’t know that the very night she decided to get a life would be the night that Galen would lose his. It’s been six months since her best friend died, and up until now, Rain has succeeded in shutting herself off from the world. But when controversy arises around her aunt Georgia’s Indian Camp in their mostly white Kansas community, Rain decides to face the world again—at least through the lens of a camera. Ages 10-up. SKELETON MAN by Joseph Bruchac (Abenaki) (HarperCollins, 2001). Molly’s parents are gone, vanished. She needs to find answers and a way to go on. But Molly has been taught well of her Mohawk traditions. She understands the importance of dreams. She knows to take them seriously. Ages 10-up. Look for more books in the series. 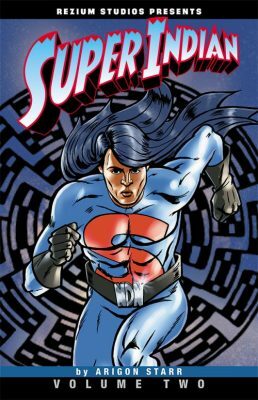 SUPER INDIAN by Arigon Starr (Kickapoo) (Wacky Productions, 2012). Hubert Logan was an ordinary Reservation boy until he ate tainted commodity cheese infused with Rezium, a secret government food enrichment additive. Known as Super Indian, Hubert fights evil forces who would overtake the Reservation’s resources and population. Assisted by his trusty sidekicks Mega Bear and Diogi, they fight crime the way they know how—with strength, smarts and humor. More on this title from Cynsations. Compiled from promotional materials. THE WINDOW by Michael Dorris (Modoc) (Hyperion, 1997). This story features an eleven-year-old Rayona Taylor, a character featured in two of Dorris’s novels for adults, A YELLOW RAFT IN BLUE WATER, and CLOUD CHAMBER. The novel is probably best appreciated by readers of all three works; however, THE WINDOW is a step toward growing into the other two. Ages 8-up.